Prof. Liat Ayalon. I am a clinical psychologist and a Professor at Bar Ilan University. My current interests concern the integration of mental health in primary care, the intersection of formal and informal care for older adults and ageism-discrimination based on age. My research is currently funded by the National Insurance Institute of Israel, the Israel National Institute for Health Policy Research and the Israel Science Foundation. Dr. Ella Shwartz. 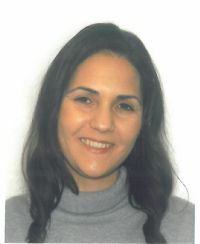 Ella is a postdoctoral student under the guidance of Prof. Liat Ayalon at the school of social work in Bar-Ilan. 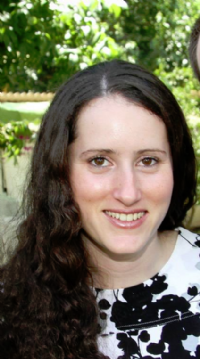 Her dissertation, from the Hebrew University, investigated the changes in older adults' social relationships and their associations with mental health. She is also a part of the team that develops the social networks area in SHARE - a broad panel survey of older Europeans. Her research interests focus on the social environment in old age and its consequence for mental health, cognitive health and self perceptions. Ella has a Masters degree in neuro-clinical psychology from Ben-Gurion University. Dr. Adi Vitman Schorr deals with the field of environmental gerontology. The prominent characteristic of her researches is combination between gerontology and geography, while the geography is expressed in variety aspects- different populations, different settlement types with different physical and human characteristics, different areas in the country and so forth; with deepening in the characteristics of ageing in the periphery. The importance of this kind of research, is the understanding that living type/ way, settlement place and of course the human, physic and cultural characteristics influence and connected on the way and the quality of ageing. Dr. Rinat Ben Noon is a geographer and an urban planner who works on the design and assessment of friendly cities. Her research concerns older adults' participation in the public space. Seyoung Kim. My doctoral research in the EuroAgeism program focuses on the relationship between ageism and longevity in light of challenges to the sustainability of social security. Specifically, my project investigates the potential effects of longer working lives on the social insurance sustainability and on the employment of young workers. Prior to joining the EuroAgeism project, I earned a M.Sc. in Evidence-Based Social Intervention from the Department of Social Policy and Intervention at the University of Oxford. My Master’s thesis examined the association between employment and mental health in older adults in South Korea. 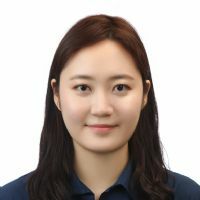 I received two Bachelor’s degrees—one in Business Administration from Seoul Women’s University and the other in Business with a major in Finance from Indiana University (with honors)—through a dual-degree program. I also gained practical experience in managing government’s employment program for older people at the Korea Labor Force Development Institute for the Aged. My current research interests include active ageing, ageism at work, and evidence-based policymaking. Laura Allen. My research in the EuroAgeism program is on the spread of ageism in the social network, specifically in the long-term care setting. I will evaluate ageist bias and communication among stakeholders in care and its effect on self-ageism of the resident. I have a B.S. in healthcare administration and a certification in long-term care administration from Western Kentucky University. As a Fulbright scholar (2017-2018) at Windesheim University of Applied Sciences in the Netherlands, I evaluated the administrator's strategy for weighing safety and quality of life within Dutch nursing homes. Through my research, I hope to promote an honest and positive picture of aging. 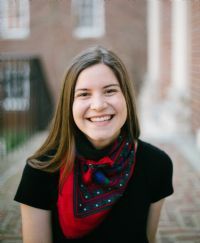 Hanna Köttl is an Early Stage Researcher working in the project "Addressing ageism through empowerment and awareness“ supervised by Professor Liat Ayalon at Bar Ilan University (Israel). She attained her Bachelor’s degree in Occupational Therapy at the University of Applied Sciences in Vienna (2014) and graduated from Amsterdam University of Applied Sciences (2017) completing the European Master of Science in Occupational Therapy. 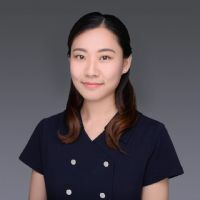 Additionally, she gained clinical and research experience as an occupational therapist in acute mental health and geriatrics at the Psychiatric University Hospital Zurich. Her research interests include mental health and well-being, psychosocial interventions and everyday technology use in older adults with and without cognitive impairments. Wanyu Xi (Betty). My research in the EuroAgeism program is about "Reducing self-stigma to increase accessibility to technology". Before joining this program, I did research on consumer behavior and psychology under IT-mediated environments at Nanjing University,China. My research methodology includes lab experiment, field experiment as well as survey. I recieved double Master degrees. One is M.A. in Management in China, the other is International MBA at Bar-Ilan University with full scholarship. Besides, I had one year part-time industrial experience in IT startups as consumer and market research in both China and Israel. Mrs. Lital Domb. is a social worker. Her Master's thesis is focused on attitudes towards sexuality among older adults with severe mental illness.